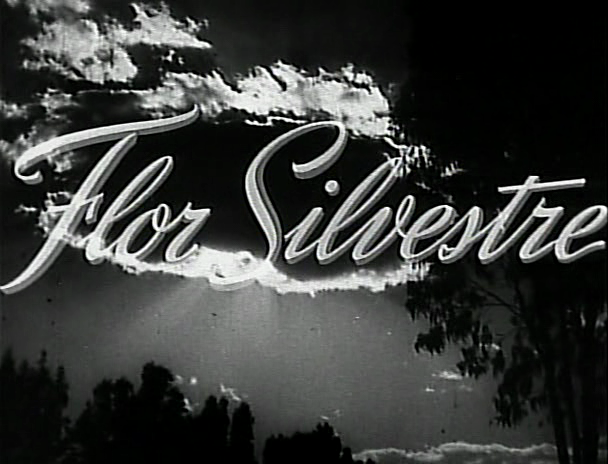 Completed before his immensely successful Maria Candelaria, Emilio Fernandez’ Flor Sylvestre was released second in the US-and not until two years after its initial Mexican release. 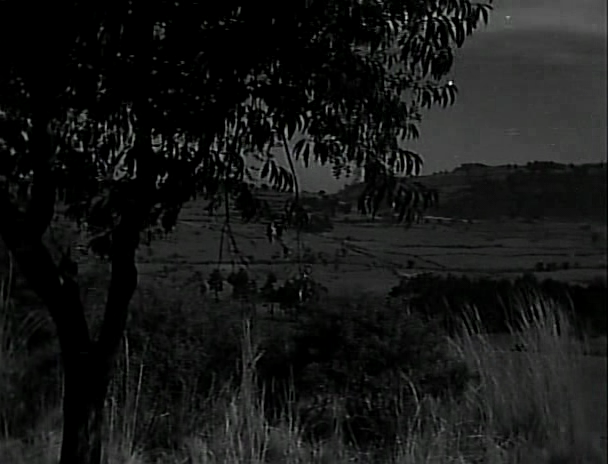 Also known as Wildflower, the film features Fernandez himself as a character named Rogellio Torres. 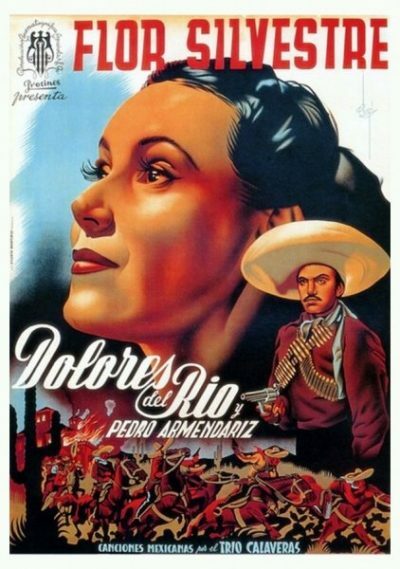 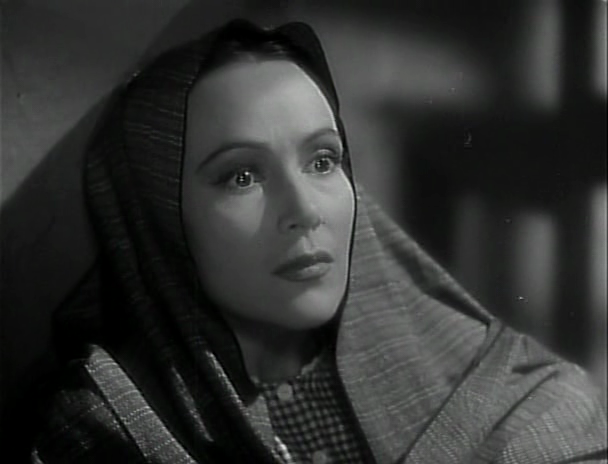 The lion’s share of the footage, however, is devoted to the romance between Esperanza (Dolores Del Rio), granddaughter of a common laborer, and Jose Luis Castro (Pedro Armendariz), the firebrand son of a landowner. 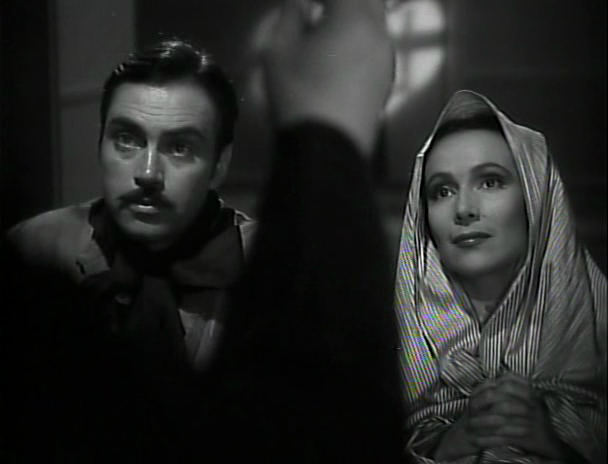 Joining a revolutionary movements, Castro is disowned by his father, but Esperanza remains loyally by his side. 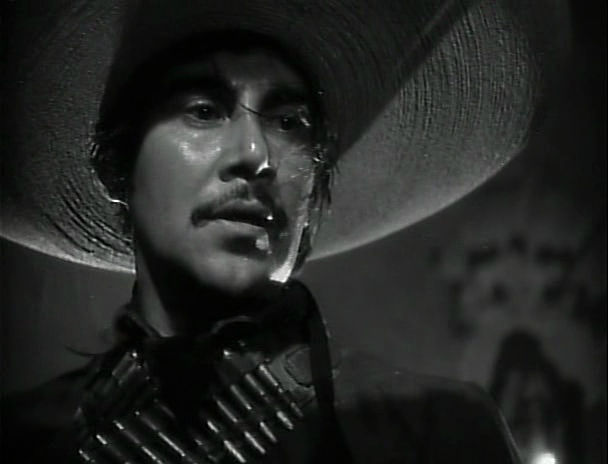 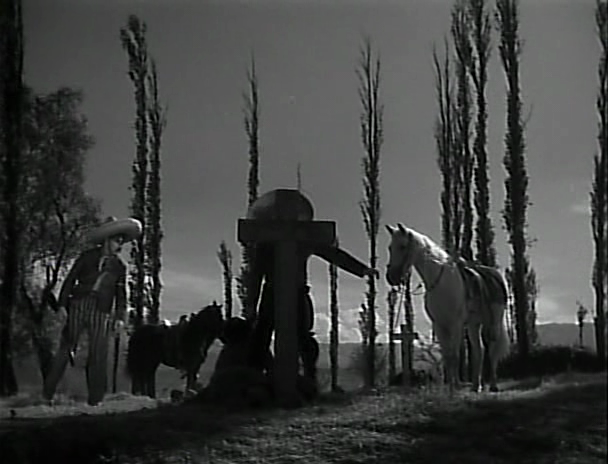 Later on, Castro’s father is killed by outlaws; in seeking vengeance, he sacrifices his own life, while Esperanza carries on his revolutionary work with their young son in tow.